When you build a classic wardrobe, you need to pay more attention to quality than quantity. A piece that you invest on, you should be able to assemble on it, mix and match and repeat on successfully many times. 1. 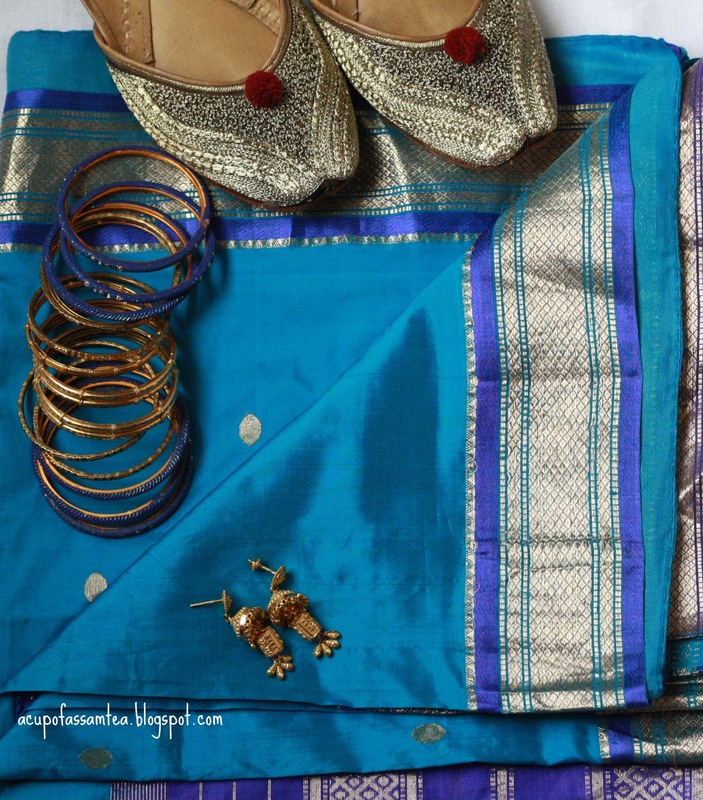 A silk Sari - Sari is the soul of any Indian wardrobe. There are plenty of saris and fashion trends also changes quite often. If you don’t want to worry about the fast changing fashion trends, it is the perfect reason for one to go for traditional saris. In this case, it is the silk sari. There are options like Assam silk, Kanchipuram, Paithani, and Panchapally to Ikkat and many more. 2. Since you own a silk sari, you can either go for a Chiffon printed sari or Chikankari sari, Kantha work sari, Kashmiri embroidered, or one with Gujrati mirrored work is great too. 3. 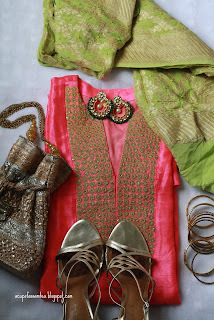 You should own a silk/cotton salwar suit; probably it should be a solid color. You can choose between neutral or very vibrant color. Then you can always mix n match and wear it in many different ways, dress down or dress up depending on the occasion. 4. You should own a couple of dupattas so you can always mix and match with your solid salwar. Bandhani, Phulkari or Banarasi dupattas are great options. 5. Indian wardrobe will be incomplete without a pair of juttis. They go well with your salwar, churidar or even sari. They come in either solid or pattern. 6. A pair of shoes makes or breaks an outfit. When it comes to shoes, you should own a Kolhapuri sandal; you can either go with silver or gold. It definitely adds up to your outfit. 7. You should own stack of silver bangles. If you want to be budget friendly, then black metal is a great choice. Silver bracelets are always good. And glass bangle plays a great role too. 8. A pair of jhumka is great, either silver or gold. If you want to perk up your look instantly, then sure go for it. 9. 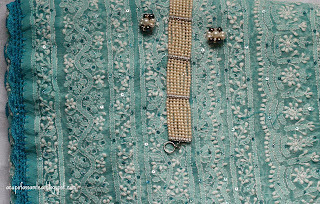 A bindi small or big is essential, perhaps an identity of any Indian outfit. 10. Without a bag, any look will be incomplete. 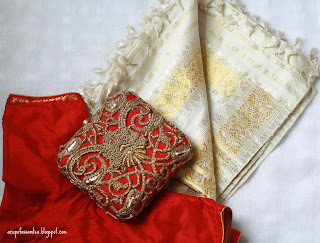 Potlis and Indian work clutches like zardozi or phulkari. A femininity and an aura that you need for your whole Indian look. I think Indian fashion is so beautiful, thanks for sharing this. I'm pushing for one of my Indian friends to get married asap so I can go to a wedding and wear a sari. Sure please . I cant wait to see you in saree.Thank you ! Its always so interesting to learn about the fashion from different cultures. 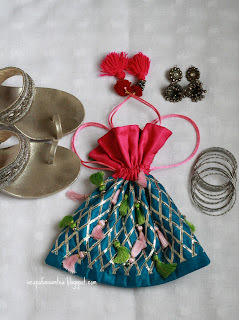 These are really beautiful pieces, love the jewelry especially the bangles and sandals. Thank you Sondra. I am glad ! these are really beautiful :) nice collection. 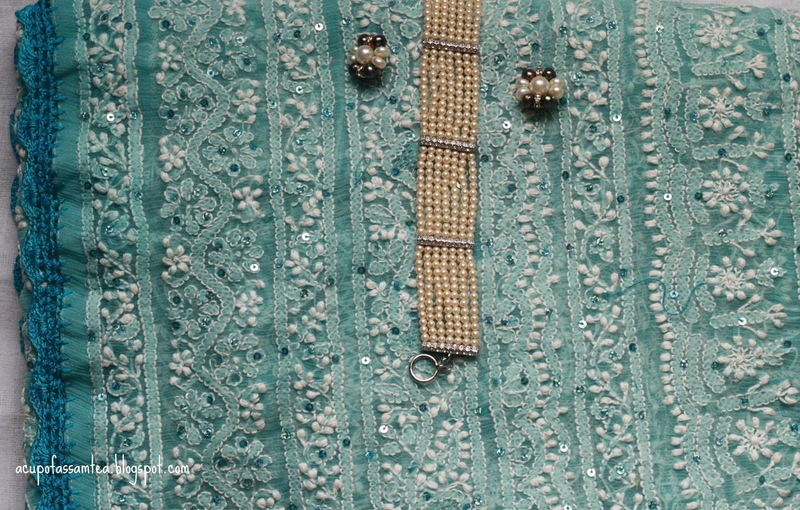 Indian dresses have always been standing out in south asia and everyone here prefer to have them irrespective of cost. I know Asherkabir. Thank you !